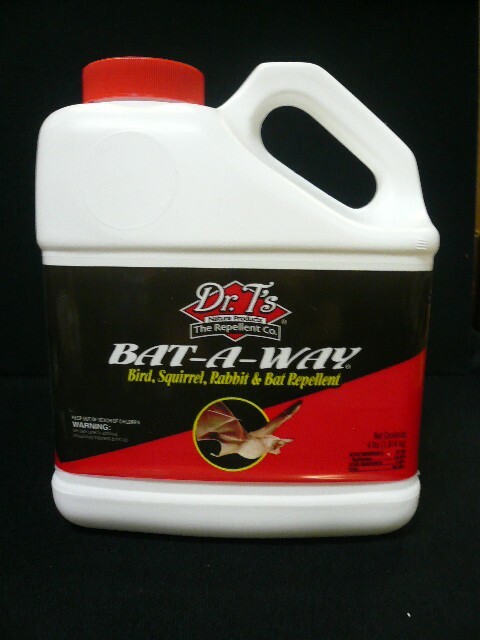 PRODUCT DESCRIPTION: A granular material designed to keep bats from roosting in your attic, soffits, or around windows. It has an odor and is weather resistant. 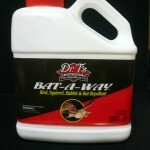 It's slow release formula allows it to last much longer than normal repellents. WHERE TO USE IT: Both inside and outside the home. Outside use it around ornamental plants, along pathways where nuisance animals listed below travel or rest. Inside, use in wall voids and attics. This product does have an odor so if you place it in a wall void or attic, be sure to have a way to remove it in case the odor becomes offensive. Setting it out in a light cloth bag or cheese cloth with string can many times allow for a wide dispersal rate but still allow for it to be removed if need be. TARGET ANIMALS: Bats, birds, rabbits, starlings, pigeons, sparrows and squirrels. RATE OF APPLICATION: 1 ounce treats 400 cubic feet.